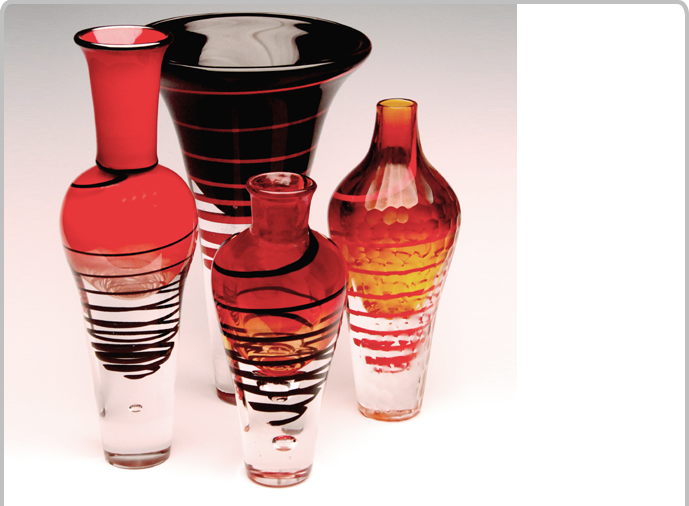 Ribbons of red or black glass are encased in crystal to create spiraling tornados in these one of a kind vases. Each has its unique Swedish style shape with contrasting colors of black and red which are encased in crystal giving them depth and motion. Swirling ribbons of glass create small tornadoes in these contemporary pieces that capture the imagination.